More than a decade ago, ASU declared its intent to become the world leader in sustainability research and education, taking the first steps in 2004 with the launch of the Global Institute of Sustainability and, two years later, with the charter of the School of Sustainability, the first in academia. Since then, courses, degrees, programs, institutes and collaborations designed to help humans take better care of our planet have spread across the university, and today there are few corners of the institution this thinking doesn’t reach. Researchers in engineering are designing renewable-energy microgrids that provide power to remote areas. Scholars in the law school are designing more equitable and sustainable water-rights agreements. Experts in the business school are testing product characteristics that influence how much consumers waste. Programs can be found in the School for the Future of Innovation in Society and Institute for the Future of Innovation in Society, the Center for Science and the Imagination, the Julie Ann Wrigley Global Institute of Sustainability, and more. Many of these programs cross college, institute or disciplinary boundaries, too, such as research programs looking at the future of food, water and energy systems. Things are more urgent now. “We did what we said we were going to do,” ASU President Michael M. Crow said. “We have dozens of centers and hundreds of faculty members involved in this. We have built a global laboratory. It’s distributed, but it’s here inside the university. 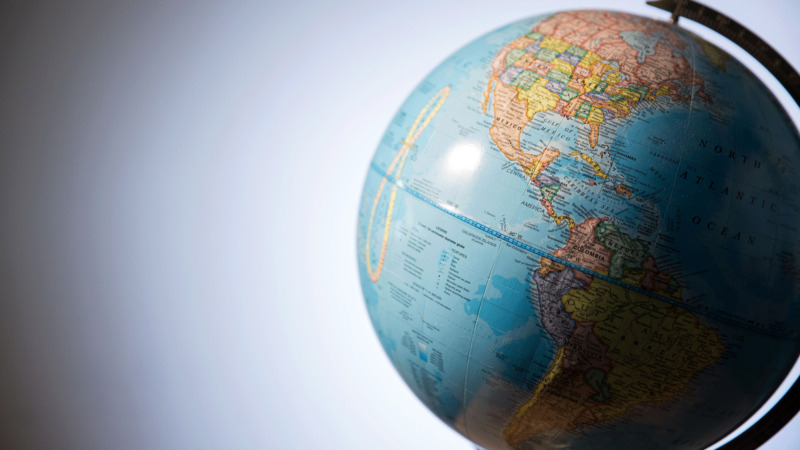 This week, Crow announced the launch of the Global Futures Initiative at ASU. Its goal is to harness the innovative capacity of academia and develop options for sound management of our planet. To lead the effort, ASU has appointed Peter Schlosser of Columbia University to serve as vice president and vice provost of Global Futures at ASU. He joined ASU Jan. 1, 2018. In the near term, Global Futures will focus on achieving a balance between creating new ideas and knowledge and zeroing in on outcome-driven problem-solving, Schlosser said. “I hope we can take the pieces ASU has already created and fuse them together more tightly, synthesizing what is already there while breaking new intellectual ground,” he said. It also will build new and bigger collaborations; find untapped opportunities that lie between disciplines, schools and existing projects; and amplify ASU’s global impact. Schlosser serves at least three roles, Crow said. The second, on the academic side: “We want him to be a ‘green thread’ through all of these programs, connecting them, providing for maximum intellectual creativity, and leading and finding the best faculty,” he said. As one of the first steps, Schlosser will work to establish an international network of partnerships and collaborations. He envisions ASU as the world headquarters of an international alliance of prominent scientists working together to address the most critical issues related to human society and the future states of our planet, including, for example, new energy systems, food security and land degradation, environment and public health, depletion of natural resources, water scarcity, and new economies (such as a carbon economy) needed for a rapidly changing world. In his role, Schlosser reports to Crow, to Provost Mark Searle and to Sethuraman Panchanathan, executive vice president of ASU’s Knowledge Enterprise Development. He also has been appointed the University Global Futures Professor, with joint appointments in the School of Sustainability, the School of Earth and Space Exploration in the College of Liberal Arts and Sciences, and the School of Sustainable Engineering and the Built Environment in the Ira A. Fulton Schools of Engineering . Schlosser’s own research has focused on water systems, especially oceans, continental surface waters, and groundwater with emphasis on the system-wide challenges introduced by human activities. He is one of the world’s experts on water circulation patterns and the exchange of gases between oceans and Earth’s atmosphere and its relationship to climate. He is a member of the German National Academy of Science and a fellow of the American Association for the Advancement of Science, the American Geophysical Union, and the Explorers Club. For Crow, Global Futures is the next step in the evolution of solution-focused research and education at ASU related to planet Earth. While there is no way to avoid the policy discussions associated with sustainability and climate, added Schlosser, academia’s most important contributions must be grounded in understanding the basic functions of the earth system, exploring how humankind impacts those functions, finding solutions to disruptions, and building alliances across virtually all disciplines and partisan divides to implement these solutions.